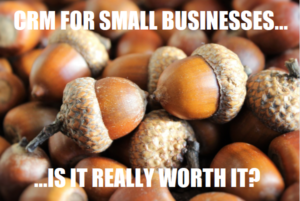 Is it really worth getting CRM for a small business? Everyone, it seems, is talking about CRM for small businesses. With many of the larger CRM vendors trying to push their offer to smaller and smaller companies, can you afford NOT to have a CRM system? Spoiler alert! It almost definitely is worth getting a CRM system – but the reasons may surprise you. For many years perceived wisdom is that to better serve your customers you need to put in place systems. Those systems should help with every aspect of the relationship you have with your customers. As we often say, they should help you to Acquire, Retain, and Develop long term profitable customer relationships. So far so predictable. But what about the emerging trend for micro businesses – the independent operators, those with very few customers, and a business model that does not need to grow that number any time soon? For many, the lure of starting a business and building it to the point where it can provide you with a living is just too seductive to ignore. “Being your own boss” is still something many aspire to. Increasingly, start-ups focus on meeting the needs or promoting the talents of the founder. Online marketplaces like eBay, Etsy, or even Fiver, provide a platform to promote your product or service to a market full of hungry buyers. These marketplaces provide a massive audience at a very small cost per acquisition. So, whilst in the past it may have been important to spend up-front to market your product or service, you can now get in front of prospective purchasers with very little, or no up-front investment. As with most situations where cost is not a consideration, this has led to an absence of rigour in business planning. If making mistakes has no consequence, then why not make as many mistakes as it takes to find your ideal customers? Indeed, in its early days, Facebook coined the phrase “fail fast” to describe the anarchic and unstructured way they built their business. The problem with this approach only becomes apparent if you want to scale your business to provide for more than just your needs. While crafts businesses may represent an idyllic lifestyle to some, for many, the goal is to grow the business to a point where it can provide a living for the founders without them having to provide the hours and hours of labour required to deliver the product or service. This is the point when CRM stops being optional. This is the point where systems become more important than products. For the first time, the success of your business is dependant, not on your product or service, but on your ability to communicate benefits to prospective purchasers at a scale that allows you to pay people to build and deliver the product. Now you have to manage relationships with customers you have not met, and maybe never will. Recognising the need for a CRM system, and successfully selecting and implementing one, are poles apart. The potential number of small business users of CRM systems has made it a key target for software vendors. Unfortunately, many of these vendors are tied to cost models that exclude small businesses. With daily or hourly charge rates that are out of the reach of small business owners, software, not CRM systems, is all they can offer. The result is all too predictable. Small businesses changing CRM software every year as their patience or budget is exhausted, with no measurable improvement in customer relationships. 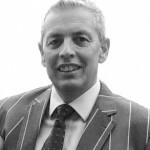 Do you need to acquire, retain and develop long term profitable customer relationships? Does your business involve more than just you, dealing with customers and prospects? Do you have any processes that CRM can make more efficient? Do you have ongoing relationships with customers? Really? Do you want to design and develop systems and processes in your business? If you answered yes to the above, then CRM might be right for you and your business. And if that’s the case, how do you find the right CRM tools and partners? Do you think you can build a CRM system by watching YouTube videos? Do you know enough about your processes to develop a brief for external developers? Do you want the CRM supplier to do what you want, or are you open to suggestions from them on how to make CRM work? Do see CRM as capital investment or an operating cost? 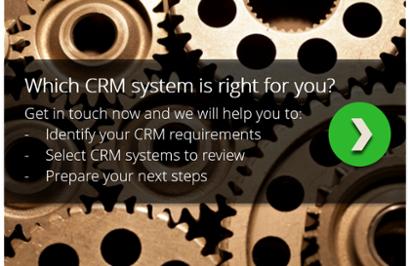 Are you prepared for the hard work needed to make CRM succeed? Hint: Think about half a day per week for a 5 user system. Does the CRM software developer focus on small businesses, or are they better suited to bigger companies with bigger budgets? Does the CRM supplier focus on bigger companies with bigger budgets, or do they have the time and flexibility to actually help you when you need it? For many businesses, CRM is an essential part of their business development strategy. Getting it right takes time, effort and trusted guide. All of these things are available, if you know where to look. The CRM Insights Blog from Collier Pickard covers topics on all aspects of CRM written by our team of in-house CRM experts. When is bespoke CRM the only option for your business? I’ve been asked to research CRM options – where do I start? How to select the right CRM software for your organisation. 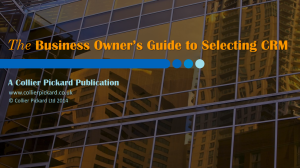 Download The Business Owner's Guide to Selecting CRM eBook now!